Fleck 5600SXT Review - Is it Worth the Price? Fleck 5600SXT Review – Is it Worth the Price? The water that you receive from your municipal body may have several impurities and also be a reason why you cannot wash clothes properly. And storing the water may be another headache that you may want to do away with too. 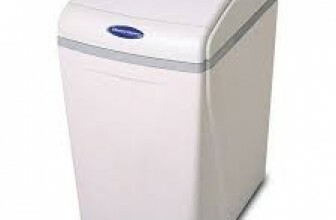 The hard water you get also means that it is difficult to wash clothes. The Fleck 5600SXT 48,000 grain water softener seems to be one of the better ways to help you to manage your daily household water needs. The water softener system boasts of a digital meter and an on-demand valve. Loaded with fully programmable cycles, this system easily treats up to 12 GPM flow rates of moderate to extremely hard water and is ideal for homes which have up to 6 people in it. What’s in store? Weighing around a hundred and fifty pounds, it does not require any batteries and comes in one packaging. The digital control head comes with a bypass valve and a one-inch threaded plumbing adapter. The system and its control valve are quite useful in eliminating the hard water which results in scale build-up while reducing soap efficiency. It also has a high capacity long life resin and an ion exchange process which eliminates magnesium and calcium deposits which cause water to harden. Hard water can shorten the life in all home appliances and plumbing and should be done away at the earliest. 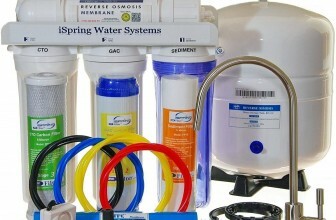 Meter based regeneration – The water being used by the user is measured and regenerated only when needed. With the increase in water needs, the system regenerates frequently to keep up with the pace. Digital control – Being the newest controller from the company, it is built on the tried and tested 5600 valve which comes with a 5 year warranty and backup. Warranty – The buyer gets 10 years warranty on both the tanks along with 5 years on the heads including the electronics. Safety float – This safety float prevents overfilling while the overflow drain works as a backup to avoid any kind of water mess. DIY installation – The installation can be easily done by the user himself and takes just an hour or two to be completed. All he requires is a basic knowledge of plumbing skills. Some of the added features in the SXT controller are a backlit LCD display, 2-day internal power backup, touch pad controls along with a user-friendly interface. 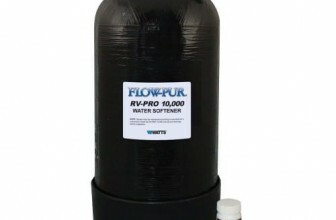 This water softener system is ideal for home use and helps to soften hard water easily. Being easy to install and use, it has a long life and does not need frequent maintenance or added costs after installation. A 10 year-old warranty ensures the user that it can fall back on the company in case anything goes wrong with the tank after purchase. One should remember to protect the tank from direct light as this might lead to the growth of algae over time which will foul the softener system slowly. Just installing this tank takes care of all your water-related problems as the water flowing into every tap or shower gets softened and becomes fit for use. 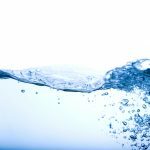 Though the water softener system does a great job around the house and softens water rapidly, some may find this product is a little too expensive and a cheaper alternative can be purchased which offers the same benefits. Another negative aspect of this system is that it is not fit for large families as too much of water usage on a regular basis will result in the system not being able to soften water as it ideally should. Also, if the flow rate of the water increases, softening the water might become a problem for this product. The water softener system is a great one because it can help you keep a check on the water system usage. True, the machine does stand at a higher price range compared to some of the competitors but it makes up for it by protecting you from all water-related problems. It can be said that the water softener system is a good quality system that is easy-to-use and install, and ideal for small families. Equipped with a long warranty and top notch technology, it will ensure that you never have to use or drink hard water in your homes, especially with one device taking care of all your water-related needs. Want something powerful but comes in a sleek design? 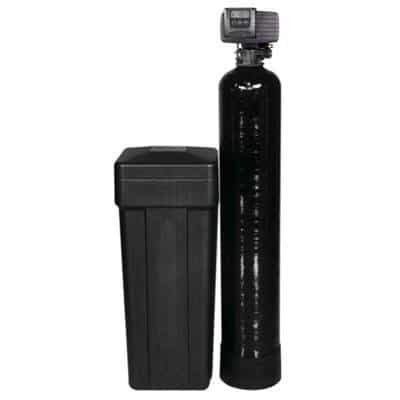 Check out the Aquios Full House Water Softener and Filter System!